3 Granite Features to choose from. What a beautiful way to greet your clients! Deco's Amore' Reception Counter is a stylish way to furnish your salon while providing functionality and some retail flair. 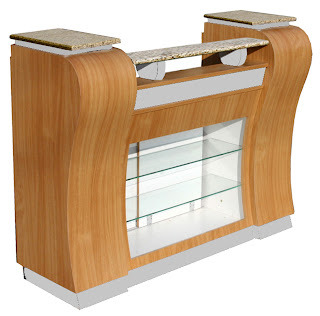 Front and center display case is perfect for showcasing gift certificates or Best Selling merchandise. Tons of storage space makes it easy to stay organized and efficient. 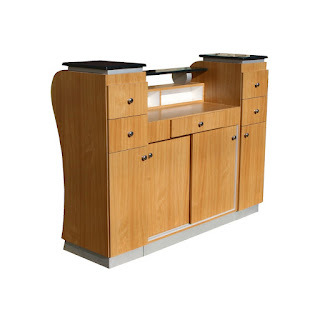 Clients give us RAVE reviews on this desk! Lots of ways to stay organized!